That satellite will deliver mobile broadband to a third of the Earth. 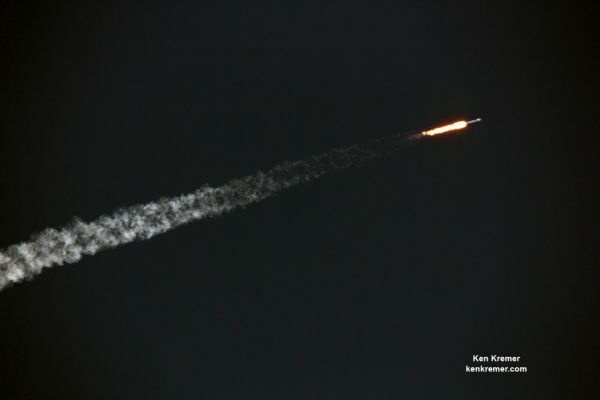 KENNEDY SPACE CENTER, FL — SpaceX blasted the “largest and most complicated communications satellite ever built to orbit” for London-based Inmarset at twilight on May 15 from NASA’s Kennedy Space Center aboard an expendable Falcon 9 rocket. In fact the Inmarsat-5 F4 satellite is so powerful that it has the potential to reach “hundreds of millions of customers,” the Inmarsat CEO Rupert Pierce told Universe Today in a post-launch interview at the Kennedy Space Center. “This is the largest and most complicated [communications] satellite ever built,” Pearce explained beside NASA’s countdown clock at the KSC press site. Blastoff of the Inmarsat-5 Flight 4 communications satellite for commercial High-Speed mobile broadband provider Inmarsat took place right on time early Monday evening, May 15 at 7:21 p.m. EDT (or 23:21 UTC) from SpaceX’s seaside Launch Complex 39A on NASA’s Kennedy Space Center in Florida. 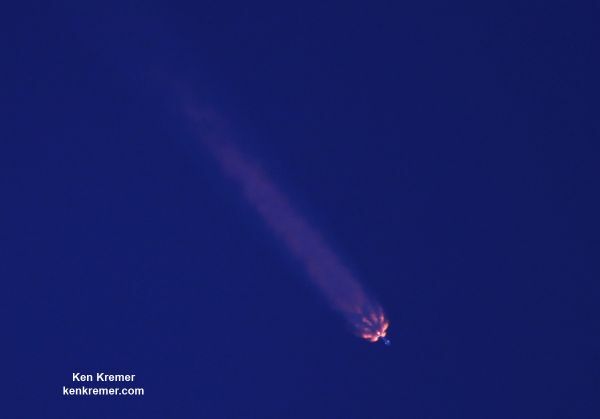 The newly-built 229-foot-tall (70-meter) SpaceX Falcon 9 successfully delivered the huge 6100 kg Inmarsat-5 F4 satellite to a Geostationary Transfer Orbit (GTO) under brilliant blue twilight skies from the Florida Space Coast. “Satellite deployment success!” Inmarsat announced. Why launch such the largest and most complicated satellite ever? I asked Inmarsat CEO Pearce. “We set a very high bar for the service offerings we want to offer for that satellite that just went up and is now on its way to in orbit testing,” Inmarsat CEO Pearce told me. 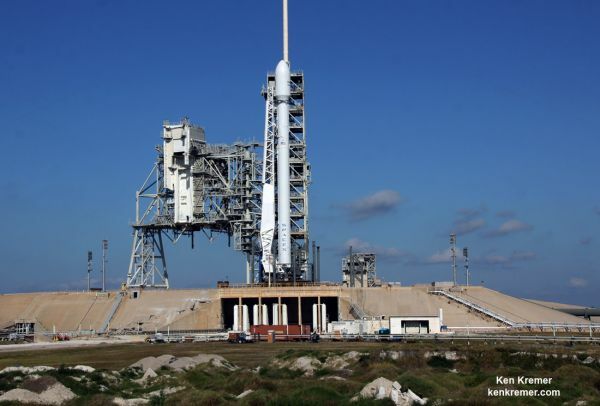 The integrated Falcon 9/Inmarsat-5 F4 were rolled out to the KSC launch pad on Sunday to begin final preparations and were erected at the pad this morning for Monday’s liftoff. The first stage is powered by nine Merlin 1 D engines fueled by RP-1 and liquid oxygen propellants and generating 1.7 million pounds. 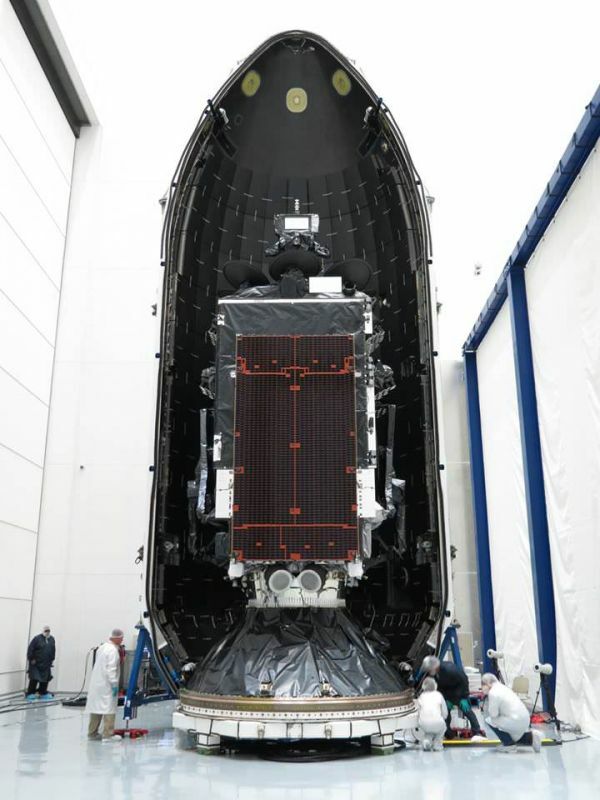 The seven meter long satellite was deployed approximately 32 minutes after launch when it will come under the command of the Boeing and Inmarsat satellite operations teams based at the Boeing facility in El Segundo. 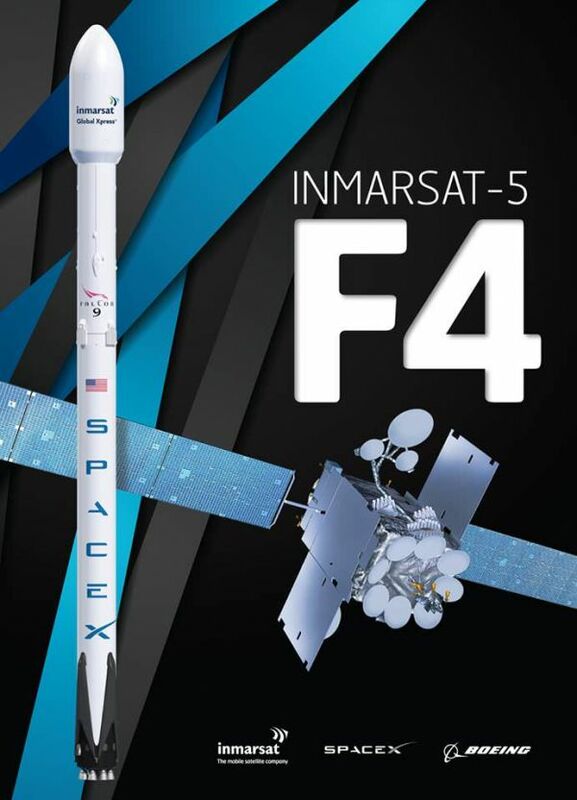 The Inmarsat-5 F4 (I-5 F4) will become part of the firms Global Xpress network “which has been delivering seamless, high-speed broadband connectivity across the world since December 2015,” says Inmarsat. I-5 F4 was built by Boeing at their satellite operations facility in El Segundo, CA for Inmarsat. The new satellite will join three others already in orbit. 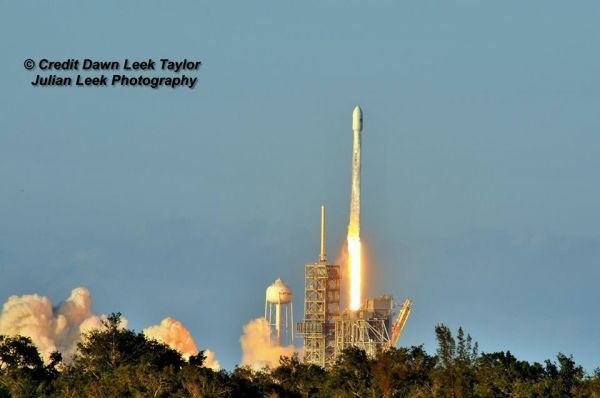 Inmarsat 5 F4 counts as the sixth SpaceX launch of 2017. And SpaceX is on an absolutely torrid launch pace. 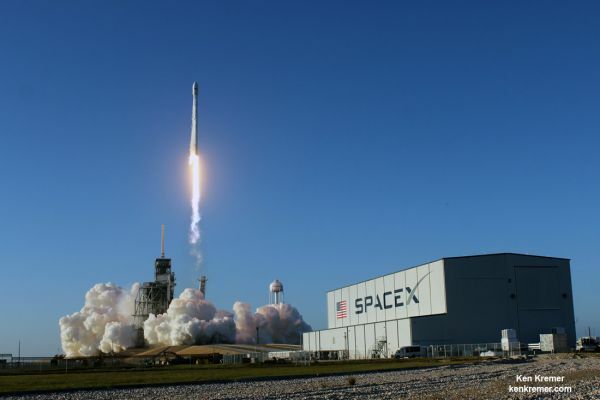 Monday’s liftoff comes just two weeks after the last successful SpaceX Falcon 9 liftoff on May 1 of the super secret NROL-76 payload for the National Reconnaissance Office, or NRO — as I reported here.